We thought about it for years and this weekend we finally took the plunge and got our very own chickens. 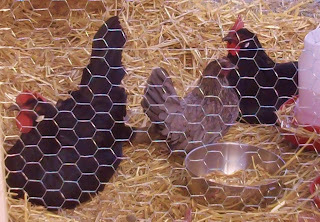 We are now the proud owners of two Black Minorcas and a cute little Blue Old English Game Bantam. The girls started work right away and we had 2 eggs in the first 24 hours. Nice! When I say we thought about it for years I am not exaggerating. 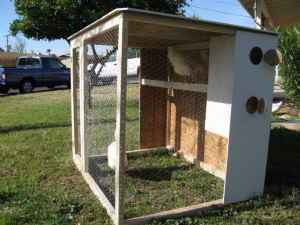 I first learned about keeping backyard chickens like most city folks did, in an issue of Martha Stewart Living. At that time I was single and living in an apartment so all I could do was look at the fabulous photos of the beautiful hens and their multicolored eggs. Fast forward to 2009 when I discovered the Valley Permaculture Alliance (then the Phoenix Permaculture Guild). I was looking for info on veggie gardens in the desert but I was thrilled to find a group of people chatting about raising hens all over the valley. That's when we figured out that it was "do-able." 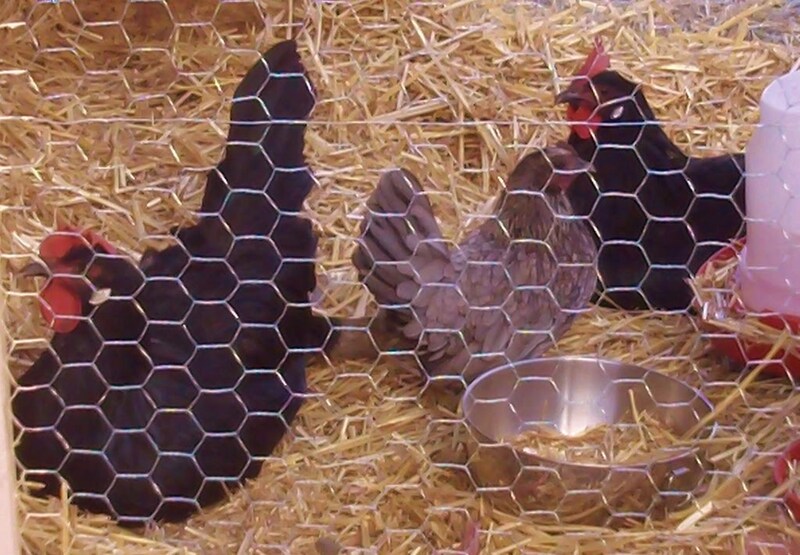 We finally got serious about chickens after participating in the first Tour De Coops where we met people just like us and saw how they incorporated chickens in their suburban neighborhoods. We stopped looking at chickens as pets that lay eggs and started considering the benefits they would bring to our gardens and compost pile. Oh, and they eat kitchen scraps and bugs? Bonus! Our next step was to take the "Raising Chickens In Your Backyard" class taught by Rachel Bess with Valley Permaculture Alliance. Rachel's class is better than any book you can read. Most books are general but Rachel has been raising chickens for years in the Valley so she understands the needs of a desert chicken. She's also honest and says that having your own chickens is hard work and it isn't for everyone. Her class waaaaaaay under priced at $10. That brings us to this weekend when hubby bought me a trio of hens for my birthday. We are already planning a coop addition with Kyle. and we hope to add an Ameraucana to the flock soon.